"Very well deserved promotion Black Belt Promotion! 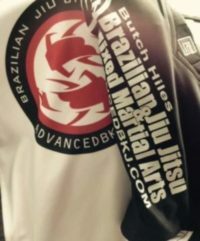 The BEST BJJ Black instructor in West Virginia!" Butch, I've waited for years for MMA to make it's way to this great state and you and your people are making it happen!!!! I’m proud that I know the “history maker”! Butch, Nice feature on HDNet tonight. Best of luck in bringing more MMA to WV. Thank you for having me out to your first pro event. I believe everything went really well. Let me know of any of your future events, to see if I can help play a part to make it successful, or any MMA Seminars that you would like to do. You are a class act and have done amazing things for this state! "Great night at the first MMA fights in WV. Awesome fights and a great time. Thanks to Butch Hiles Bjj Mma for sponsoring the fights." "Mr. Hiles just wanted to personally say thank you for helping get this great sport legalized in wv....sitting here cageside....doesn't get any better"
"Thank you Butch, you are a great friend, training partner and a true trusted comrade. We will continue our climb to the top with the ones who have the heart and courage to be the very best they can be. The best is yet to come." "Matt teaches my Ultimate Cardio & Conditioning class at Butch Hiles Bjj Mma. If you want to get in the best shape of your life, come check it out." "My best advice is just go do it. If you stick with it your life will change. You will be healthier, both mentally and physically, than you could imagine. Just go do it and watch in amazement as the weight drops off and you get stronger and more fit."